It is interesting to hear that Grahame Searle, the Director of the Department of Housing, is moving to a new department that will deal with indigenous issues. Searle is the man who considered to move Housing to Fremantle, but we have heard lately that it is highly unlikely to happen. The Fremantle community needs to know how much longer the City of Fremantle is going to wait and wait and wait before it pulls the plug on the Kings Square development, because the alleged plans B and C, etc. don’t appear to exist. The Kings Square project was going to be the catalyst for the revitalisation of Freo’s CBD and the struggling retail sector but it has now become more of a negative than a positive because nothing is happening. Neither the City nor project partner Sirona Capital are telling us what their plans are. All we hear are promises and that the Mayor is going to have yet another chat with the Premier and that not all is lost yet. Really? I want to write good and positive stories about the Kings Square development but nothing has been forthcoming but empty promises so far, so no wonder more and more business people and the general community are becoming cynical and very worried about it all. What would happen with the new Civic Centre if the project did not go ahead? How much money would the community have to fork out to the architects, etc? How much income would have been lost by not leasing out Queensgate for years? So many questions but far too few answers from COF. The reality is that even if the start of the development was in early 2016 we would not see anyone moving in to the Myer and Queensgate buildings till 2018, and long after that the Spicers site at Henderson street might go ahead. Waiting longer and hoping and praying for a government department is no longer an option. If a department was to move to Fremantle Premier Barnett would probably make it an election promise for the 2017 election, so that is too far away to wait for. 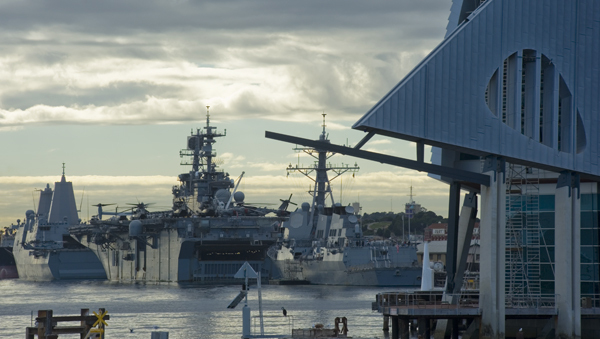 The City of Fremantle needs to demand urgent action from their project partner or pull out and admit defeat that the project can’t go ahead in the present economic climate. It would be a huge shame if that happened but just living in hope without tangible evidence that a major anchor tenant for the Myer building can be found is no longer good enough. 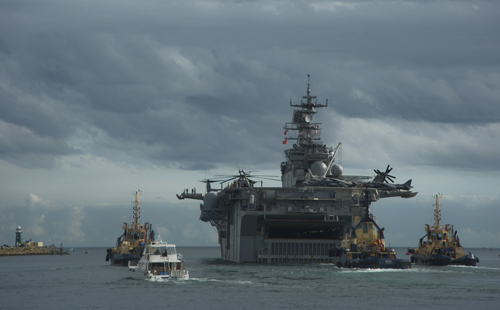 It was a bit of an effort and took three tug boats to turn around the massive USS Bonhomme Richard in Fremantle port around one o’clock today. 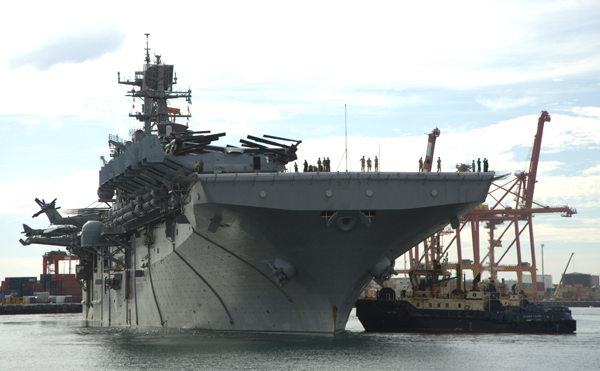 The ship had been in Freo harbour together with the USS Green Bay and USS Preble for four days of R&R and Freo put up perfect 20+ degree winter weather for the sailors while they were enjoying themselves here. The protest events against the proposed PERTH FREIGHT LINK keep coming and I am certain there will be many more to come as communities along the route are getting more and more aware about the impact it will have on their lifestyle. 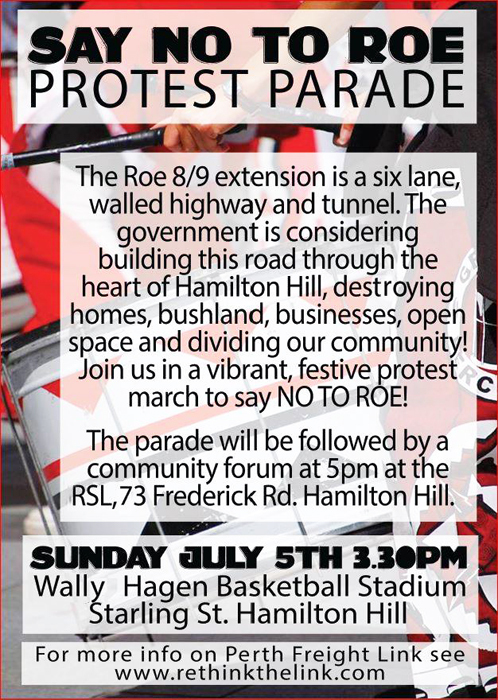 This Sunday July 5 Hamilton Hill will have a protest march starting at the Wally Hagen basketball stadium in Starling Street at 3.30 pm followed by a community forum at 5 pm at the RSL Club at 73 Frederick Road, Hamilton Hill. I keep reading the argument that it is improper to criticise the PFL proposal by State Government when we here in Fremantle would like more support from them, but I believe that is just silly one-eyed political ideology speaking. For me this is not about politics and Labor versus Liberal or Greens versus Liberal, but all about protecting communities and lifestyle and asking for better solutions. It is what we in Fremantle did when the local government amalgamation process went on and we suggested better boundaries for Freo than initially proposed by the government. We would have got them if East Fremantle had agreed to the amalgamation and if the State Government had not made such a mess off it. Now many communities and Councils are asking for the same consideration. Please Premier Colin Barnett consider alternative and better solutions, invest to get more freight on rail, start seriously planning for a second port in Cockburn Sound, and don’t split communities with a toll road and destroy the very significant Beeliar wetlands. Several hundred people turned up this Sunday morning near Stock Road to express their opposition against the proposed Perth Freight Link Roe 8 highway extension, that would severely impact on communities along the route and the Beeliar wetlands. It would also create traffic chaos in North Fremantle and split communities in half with up to nine-metre-high noise protection walls. Member for Fremantle Simone McGurk, Member for Willagee Peter Tinley, Cockburn Mayor Logan Howlett and the opposition spokesman for the environment, together with members of the public, and a very brave and cute young lady, all spoke out against the proposed road development. Logan Howlett urged the State Government to implement the Latitude 32 option, as proposed by the City of Cockburn Council, so we need to demand that Premier Colin Barnett changes his attitude and consider Latitude! Communities all along the route should be very concerned, but so should Mosman Park, Claremont, Swanbourne, etc. as the new road will have a huge impact on their lifestyle as well. BIG FREMANTLE WINTER FESTIVAL STARTS WEDNESDAY! 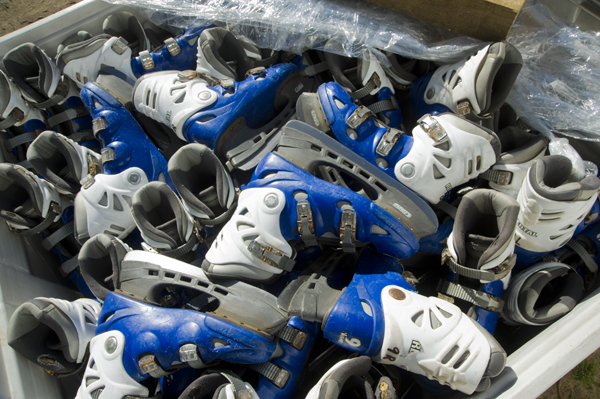 The ice on the huge 600 sqm-icerink of the Fremantle WINTER FESTIVAL on the Esplanade is slowly building up and large boxes with skates for hire are being unpacked. It will be a much bigger and more varied Winter Festival than we had three years ago with different kinds of entertainment each night, local food stall, a snow cannon and huge slide, and of course the bar will sell mulled wine and the kinds can build snowmen. 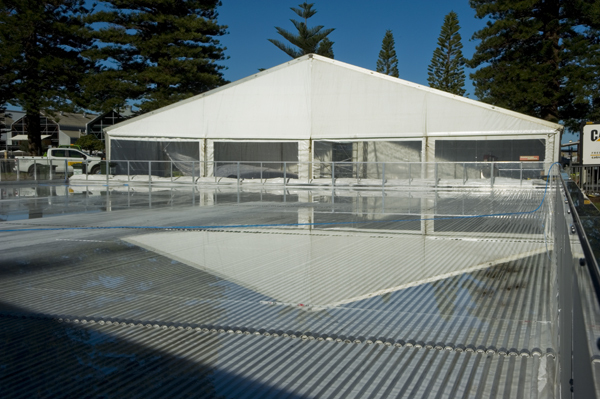 Comments Off on BIG FREMANTLE WINTER FESTIVAL STARTS WEDNESDAY! WHY DOES FREO CITY ACCEPT MEDIOCRITY? Maybe I am just a whinger but the lack of eye for detail at the City of Fremantle administration far too often forces me to be negative and write blog posts about what should happen and what should not have happened. 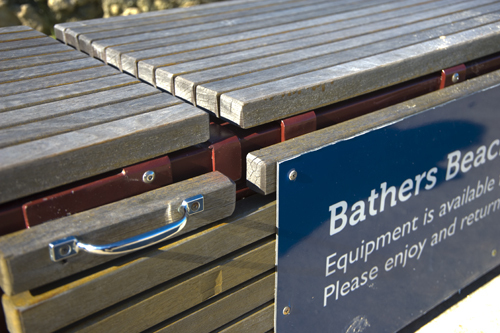 This seat and storage unit near the Roundhouse on Arthur Head is another example of COF not doing things 100 per cent. 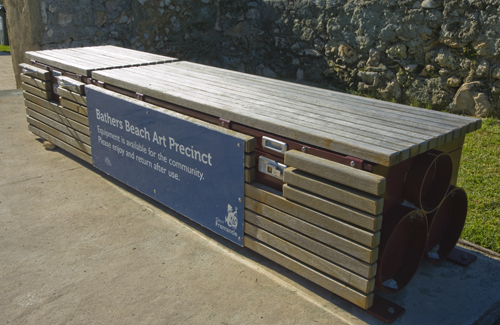 This is quite a nicely designed bench that doubles as storage for games that visitors to the area can use, but there are a few problems with it. I already complained on Freo’s View about the far too large sign that covers a large area of the visually attractive unit, but I only recently discovered the sign is actually attached to the lid and bottom of the unit, which prevents the lid to the larger storage area from being lifted, so the area is useless. Not a great job, COF! The small storage area was unlocked but the Roundhouse tour guides warned COF staff that the lid is very heavy and does not have a slow release catch, so it could fall onto children’s arms or heads and cause severe injuries, so thankfully the manager of the Walyalup Aboriginal Cultural Centre had the keys and has now locked the storage unit. A) Remove the too large sign and put a smaller one up, so that both lids can be lifted up and both storage units used. B) Install safety catches so the lids will only slowly go down and not hurt anyone. Tourists are intrigued by the arty looking bench and many try to see what games are available to them, but unfortunately we now only have a seat with a large ugly sign covering a large part of it. 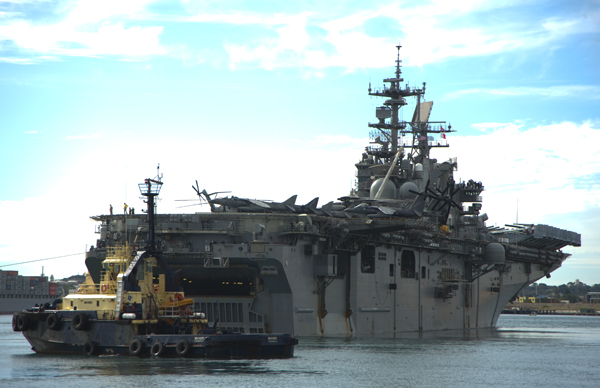 We can and should do better, City of Fremantle! At its 11 June meeting, Cockburn Councillors supported an alternative proposal to Roe 8. 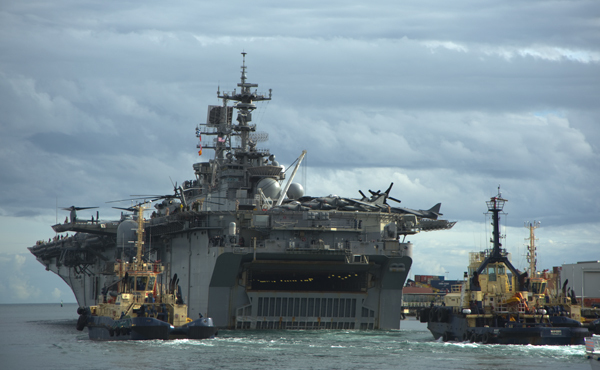 The City’s proposal does not involve the construction of any roads but uses existing infrastructure – including roads and rail, to enable freight to be consolidated and moved between modes to and from Fremantle Port and a future Outer Harbour. We don’t need to build more roads to address Perth’s freight movement and congestion. At the heart of the City’s proposal is the construction of an intermodal facility (which can move freight from rail to road and vice versa) at Latitude 32. This alternative considers the volumes of containers moving to and from the southern metropolitan region, and supports the existing intermodal facility at Forrestfield. This is not a new concept. 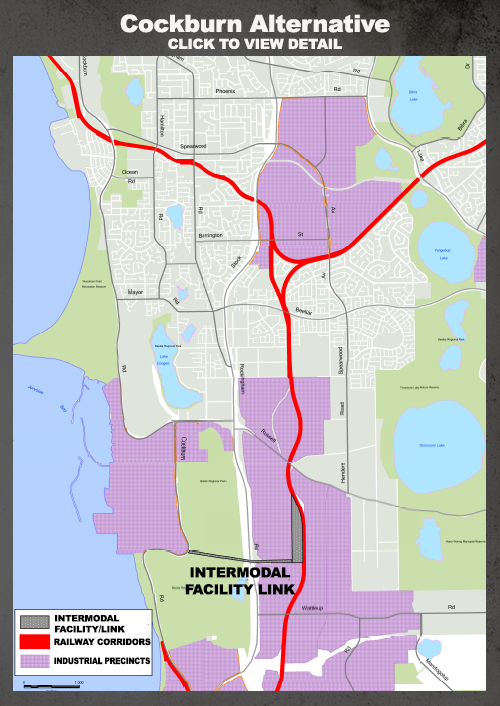 The State Government has included plans for an intermodal facility as part of its long term planning strategy. The City of Cockburn is asking the Government to bring this plan forward, for the benefit of all.